The goal of the system in configuration where it boots, takes an image with the camera and goes to sleep to achieve that in minimal time of about 8s. Average power consumption 200mA, 8s duration is about 0.5mAh per boot cycle and thus photo. This allows for about 30000 photos to be taken with 6x 18650 2900mAh battery, assuming no charge. I have added quiet to /boot/cmdline.txt and that saved ~1.2s of boot time. I have tried to follow https://hallard.me/raspberry-pi-read-only/ but got some errors for certain commands and it was not successful at the end. System was still in read-write mode. More time is needed to analyze boot procedure and to see how we can reduce boot time. Download Raspbian Lite image and "burn" it to SD card as usual. Add empty file ssh without any extension to /boot/ directory. Change file /boot/config.txt and at the end, add the line dtoverlay=dwc2. If Raspbian Jessie is used, everything should work. If Raspbian Stretch is used, SSH has to be enabled through raspi-config. Connection to RaspberryPi should be possible through SSH (ssh pi@<ipaddress> or ssh pi@raspberrypi.local). Connect USB-to-UART converter on the Raspberry Pi zero (TX, RX and GND) and configure serial terminal to 115200-8-N-1. Additionally, quiet is added to /boot/cmdline.txt. Next step is to execute the script to take a photo with the camera at startup and to mark the time. For this, we need to figure out how to startup Pi without the need to type the password. This will prevent Pi from asking for login credentials. With new init system used - systemd, we needed a way how to execute scripts at startup. In order to do that, we need to create, enable and start service which will be executed during the boot procedure. First, we need to create file /lib/systemd/system/cameratest.service. All the paths in the service and script should be absolute paths. After reboot, the system should execute test_script.sh. According to the latest log, startup lasts 9.789s and the first photo is captured after 16.13s. Next step is to execute shutdown after taking the photo and to measure how much time we need from the startup until the system shuts down. 16.10 4.24 //16.10s is up time since startup until taking the photo is finished. 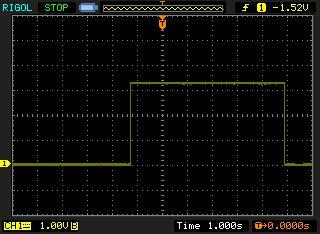 From the waveform attached, shutdown time can be derived to be ~6s. In case when the network is not available and gpio utility is not installed by default, we can use direct writing to files in order to control GPIO pins.